Finding interesting players in this tournament is easy. Close your eyes, twirl your finger, and point at the bracket. Boom, you found someone capable of making waves in March. From the leaders on top teams to glue guys who can save their school to the mid-major miracle workers, there is absolutely no shortage of talent, experience, and intrigue on the 68 rosters in the NCAA Tournament. That being said, some players will rise and others will falter. These five players have the chance to greatly affect their team’s fortunes, possibly more than anyone else this season. The difference for this Duke team being a good team and a championship contender lies with Jayson Tatum’s ability to affect the game on both ends of the court. After he returned from injury, his offensive game was perplexing. He shot a ton of contested jump shots and long 2-pointers. For the entire season, he’s attempted 120 two point jumpers, with a measly 12.5 percent of those being assisted shots. Compare that to 30 percent of his shots at the rim and a whopping 86 percent of his 3-point attempts coming via an assist (per hoop-math.com). Coach K’s offense does not usually involve that much isolation, and that showed. Tatum took 114 unassisted 2-point jumper attempts, a shot he’s making only 40 percent of. When he steps beyond the arc, Tatum has struggled. He shot just 3-15 from outside in the ACC Tournament and has made 33 percent of his threes this season. Remove a red hot 6 for 7 night at Virginia and his 3-point shooting drops to just 30 percent. 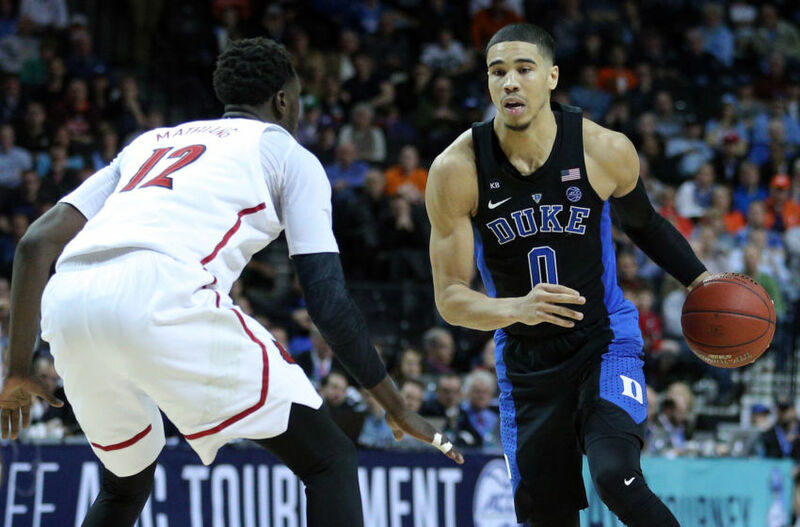 For Duke’s offense to truly be successful, Tatum either needs to be a reliable second option or a valuable playmaker with the ball in his hands. When another Blue Devil guard kicks the ball to Tatum, he doesn’t need to make a three, but he needs to be able to score or find someone who can. Wasting shot clock time on isolation will get him nowhere. This is all crucial for Duke, but also for Tatum on a personal level. He’s projected as a top five pick in June’s NBA Draft. Scouts are wary about his ability to knock down shots. He either needs to show that skill or highlight the other areas where he can affect the game. He has the body and the ball skills to attack the rim and get to the free throw line. He has the tools to be an elite wing defender. Tatum needs to perfect himself as a role player at Duke before he can become a star at the next level. If he has a great tournament, look for Tatum to rise from a likely top five pick to a lock for the top three. The senior point guard might have just played one of the most fantastic under the radar seasons in recent memory. This season, only Morris and freshman phenom Dennis Smith averaged at least 16 points, 6 assists, 4.5 rebounds, and 1.5 steals per game. Morris was second in the Big XII in assist rate and had the lowest turnover rate of any player in the conference. In fact, the only players in the tournament with a lower turnover rate than Morris are UCLA center Thomas Welsh (who never handles the ball) and Butler guard Avery Woodson (who plays off the ball for only 20 minutes per game). 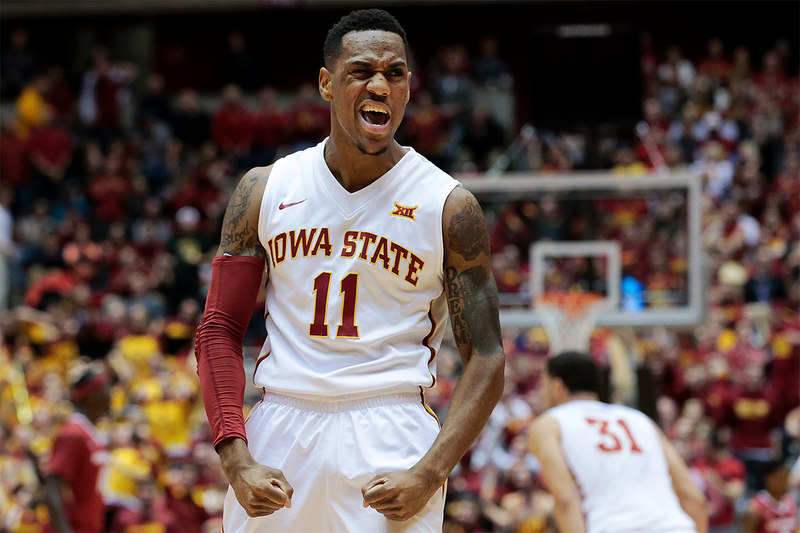 Love this stat: Monte Morris could record 59 straight turnovers w/out an assist and still set NCAA career assist-to-turnover ratio record. Morris’ assist-to-turnover ratio of 6 to 1 shows his ability to control the game. Iowa State as a team turned the ball over the 9th fewest times in America. In March, with teams playing twice in a weekend against new and escalating competition, that level of ball control could turn out to be a gamechanger. Let’s talk about the Mustangs for a moment, shall we? SMU has lost ONE TIME since December 1st. That’s 26-1 in the last three and half months, in America’s 7th best conference (per KenPom) and including non-conference wins over Stanford and TCU. Semi Ojeleye has been a huge factor in that successful season. The Duke transfer has been a monster down in Dallas, averaging 19 and 7 while making 43 percent of his threes and committing the fewest fouls per 40 minutes in AAC play on defense. There’s no way Ojeleye’s eyes didn’t light up when he saw his team in the same half of the East Region as his former teammates at Duke. In two years as a Blue Devil, the Kansas native averaged just 2 points in 6 minutes of play per game. 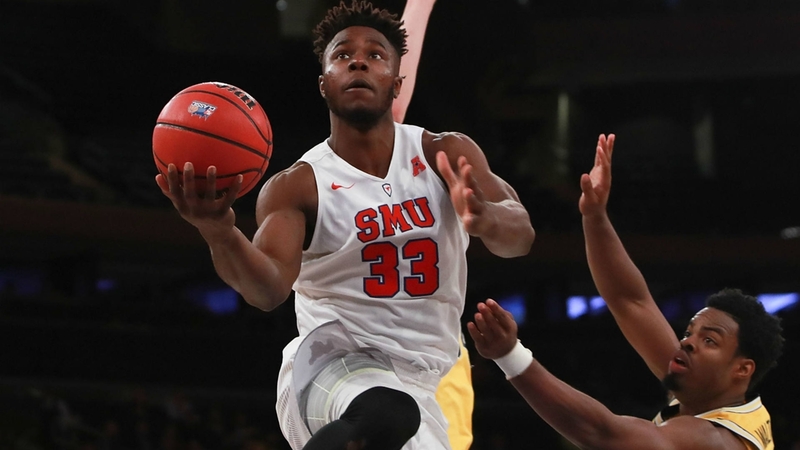 At SMU, he’s barely coming off the floor and is the key to his team’s success. Best of all, I’m not sure who on Duke would or could cover Semi Ojeleye. And oh by the way, the game would be played at Madison Square Garden. Good luck to the teams standing between SMU and a shot at the Blue Devils. For years, it was lazy and easy to call every skilled Eurpoean big man “the next Dirk.” Now with Kirstaps Porzingis in the NBA, every Euro import after him is compared and contrasted with the Knicks stud center. Any unsuccessful player coming from Europe was shrugged off as just another stiff like Darko Milicic. Lauri Markkanen is a 7’1, blonde haired European basketball player with skills inside and outside the arc. He is not Dirk. He is not Porzingis. He is definitely not just another stiff to be forgotten. As just a freshman, he’s been a gamechanger for Arizona, contributing 16 points and 7 rebounds per game this season, shooting 43 percent from beyond the arc. Defensively, he’s not a shot blocker like Porzingis, nor a sieve like Nowitzki. Even at a young age, he’s found ways to use his size and strength, even when playing power forward and guarding much smaller players. The key, however, is his versatility on offense. He’s a deadeye shooter with legitimate NBA range. He’s as good a cutter as you’ll find in a 7-footer. And he can score on post touches with an array of moves that leave defenders spinning. 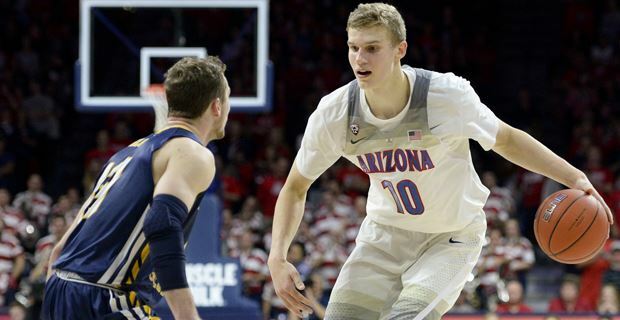 When Allonzo Trier returned from suspension, Markkanen’s role shifted. The Wildcats wouldn’t need him to succeed with the ball in his hands as often. Trier is an effective slasher and driver, thriving as a playmaker. Many freshman might not be able to adjust on the fly, but the Finnish big man has with ease. When Trier has the ball, Markkanen is gaining better position in the post for a dump down, cutting past an unsuspecting defender, or ready to shoot from outside. That last skill is truly a weapon, given how hard it is to close out on a giant sized jump shooter, who releases from his forehead. Circle the potential match-ups with Florida State’s athletes and Gonzaga’s big men as must see TV. About a week ago, the conventional wisdom on Kentucky’s tournament chances was simple: Malik Monk is capable of shooting them through the tournament with a hot streak or right out of it with a cold night. That was before the SEC Tournament, where Fox took over. The freshman speedster led Big Blue in scoring in all three games they played in Nashville, most notably a 28 point performance against Alabama. Fox was a magician in that game, and the ball was in his hands nearly non-stop. When Kentucky needed a bucket, there was no question what was going to happen. Fox, a dismal 24 percent outside shooter, had the ball and was going to drive to the basket. All 20,000 people inside the arena knew it, and he still got into the paint and made baskets. Malik Monk is a fantastic shooter, capable of turning a game or this entire tournament on its head. In the event that he has a cold streak or can’t find open looks, Kentucky is not doomed. 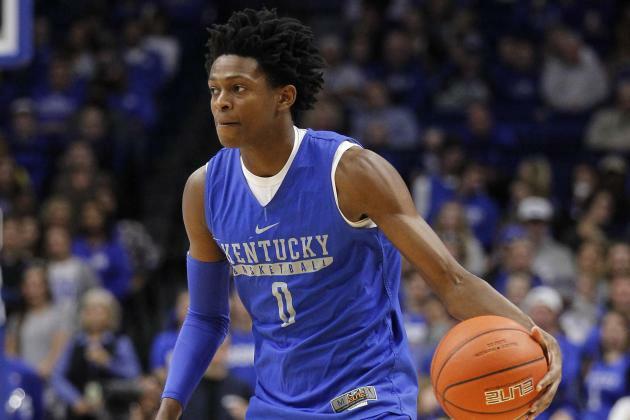 De’Aaron Fox has proven himself as one of the most difficult players to guard in America. Finding a way to stay in front of Fox, without helping off of Monk, seems nearly impossible. Great article! It would have been easy to go with guys like Lonzo Ball and Josh Jackson, so really enjoyed the in depth look from a different angle. Who are your picks for the Final Four? I’ll actually be announcing my Final Four picks on Facebook Live in about half an hour (9 PM ET)!